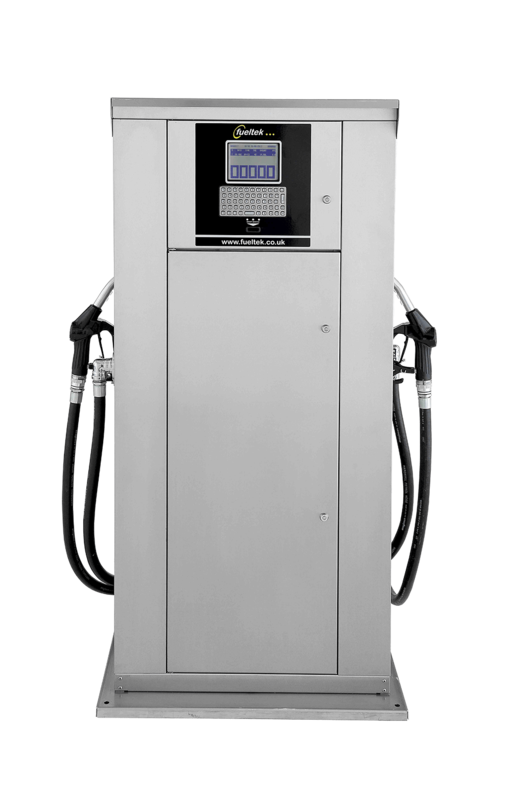 The FT4000AP TWIN is a simple yet sophisticated Integrated fuel management system / fuel pump, comprising two forecourt standard fuel pumps and a world class fuel monitoring system in the same cabinet. 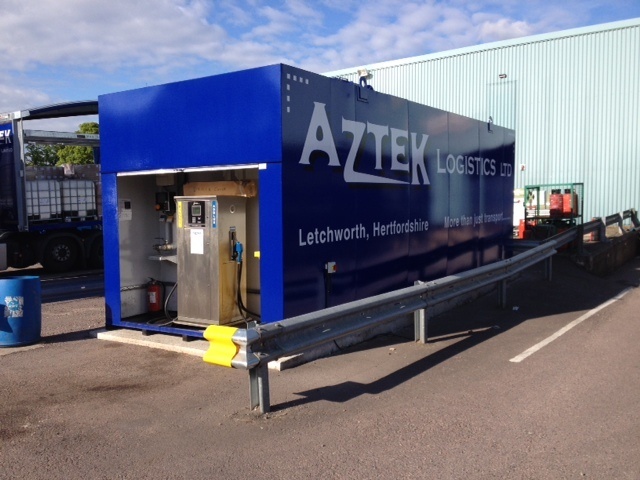 The FT4000AP TWIN is designed to provide complete control for commercial transport organisations dispensing fuel to authorised vehicles on -site. 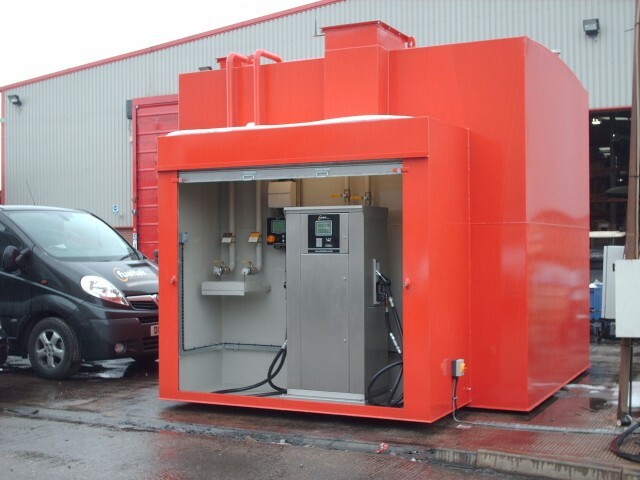 The FT4000AP TWIN comprises hardware and software, the hardware is a highly specified Fuel Access Control Terminal (FACT) designed to be installed at the fuelling location. The FT4000 TWIN communicates with FUELTEK FMO Browser based software, which is accessible from any location with internet access. The fueltek FT4000AP twin pump is available in any combination of speeds or products I.E One side diesel 90 lpm/ One side adblue 35 lpm, or one side gas oil 90 lpm –one side Diesel 50 lpm. 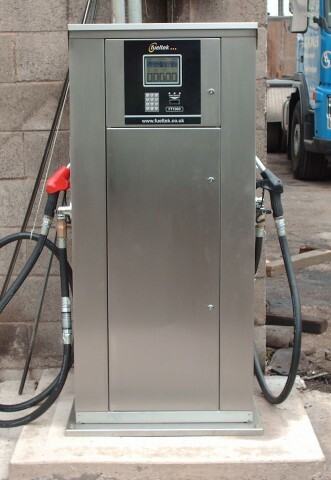 The FT4000AP TWIN is specified as a combination fuel dispenser / fuel management system. The FT4000AP TWIN is capable of controlling up to 4 fuel pumps simultaneously ( 1 internal and 3 external) in its single side specification and 8 pumps simultaneously ( 2 Internal and 6 external) in its double sided specification. 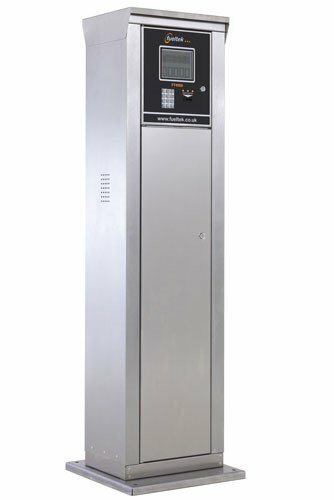 The FT4000AP TWIN can be specified as a single side unit – a double side unit and can have different access method options either side such as numeric keypad and datatag reader one side and Card reader and QWERTY style keypad on the other if required. The FT4000AP TWIN can be specified for different product combinations or same product. The FT4000AP TWIN is a true twin featuring two pumps / two meters and two motors, each pump can be used simultaneously. The FT4000AP TWIN can also control other external pumps through the same integral fuel management system. The FT4000AP TWIN system incorporates a robust heavy duty keypad which enables odometer readings, driver ID’s, fleet numbers, job codes etc. to be entered at the point of fuelling. The FT4000 can be specified with keypad options including Full alpha Numeric, multiple choice alpha numeric ( old style text messaging) or simply numeric. The FT4000AP TWIN incorporates vehicle / driver messaging. 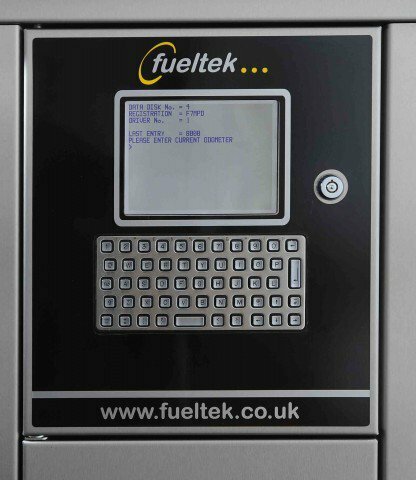 A message can be programmed at FUELTEK FMO and can be sent to the FACT. The next time the relevant Datatag is used at the FACT a message will be displayed. The FT4000 system has the capability to provide unlimited storage capacity for look up tables, fleet lists and transaction storage, the system offers a minimum primary memory capacity of 2,000 transactions between downloads, these are stored in non-volatile memory that does not require a battery back-up, which, means even in the event of a mains power fail the system will retain all data. The primary memory can be upgraded to store a larger number of transactions if required. The FT4000AP TWIN houses two pumping units these are 230 Volt Single phase and can be specified as a 50, 70 or 90 Litre Per Minute fuel pump. A 3.6 metre hard wall hose and an auto cut off nozzle are supplied as standard, we can supply a longer hose if required. The unit uses a four piston displacement meter to ensure overall accuracy of fuel dispensed. The meter is calibrated to forecourt accuracy which is achievable over all dispensing speeds. 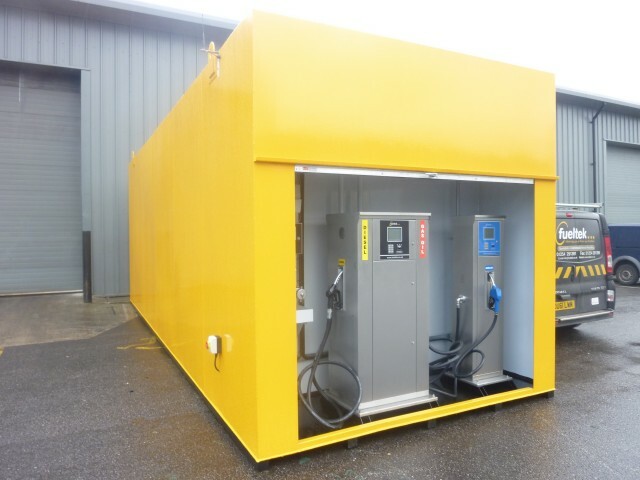 Options are available for dispensing different products and units can be configured for diesel/ diesel – diesel / adblue – diesel/gas oil – gas oil /gas oil- gas oil /adblue etc. The FT4000AP twin pump is a true twin pump comprising two meters. Two motors, two pumping units, two pulse transducers etc. The FT4000AP Twin Fuel pump is available in a number of configurations and can be specified as DIESEL/DIESEL , GAS OIL/ GAS OIL , ADBLUE /ADBLUE OR ANY OTHER COMBINATION EG. DIESEL / ADBLUE OR DIESEL GAS OIL.